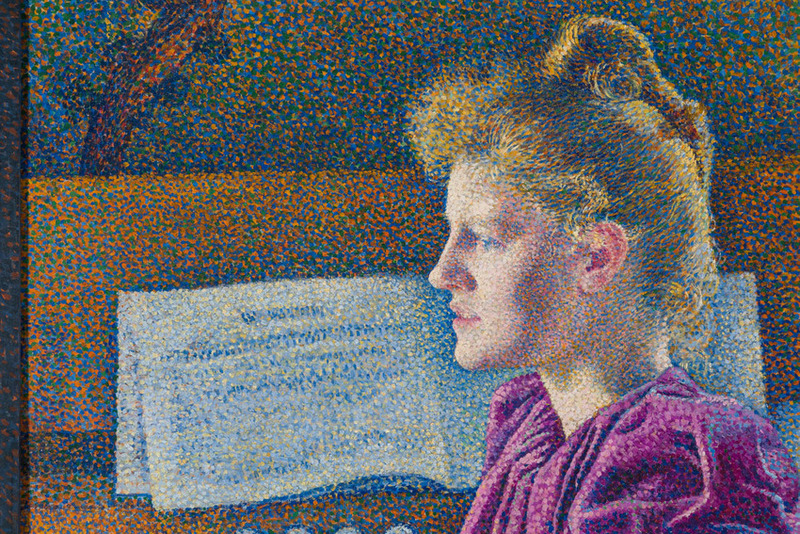 Maria Sèthe at the Harmonium (1891) is a portrait by the Belgian neo-impressionist painter Théo van Rysselberghe (1862-1926). 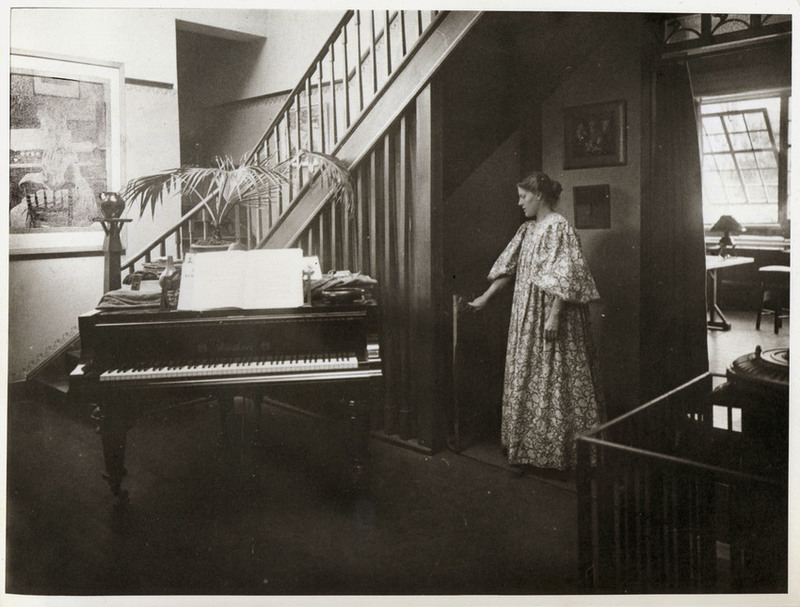 The sitter, Maria Sèthe, belonged to an affluent Brussels industrialist family with an interest in the arts and she is pictured here with a harmonium, a type of small organ that was popular with the musical families of the 19th-century bourgeoisie. Sèthe later married the well-known Belgian modernist architect, designer and exponent of Art Nouveau Henry van de Velde. 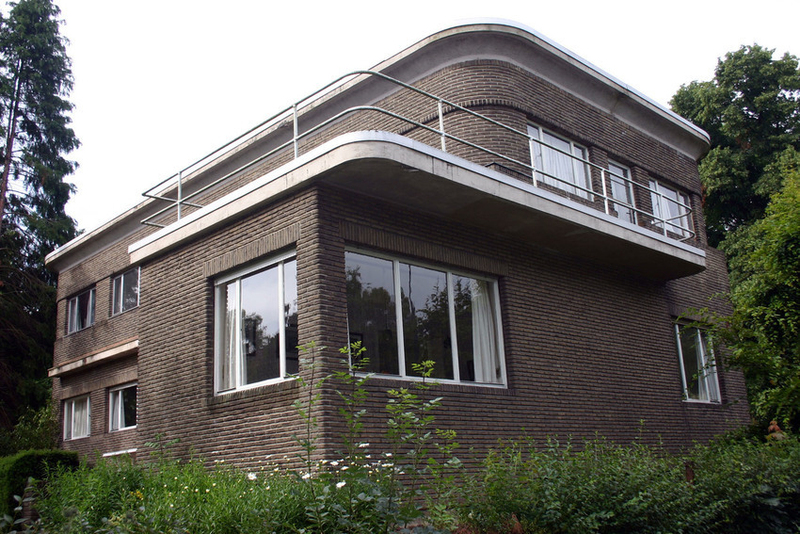 The couple were very much a part of the fashionable artistic milieu of the time and van Rysselberghe’s stylish portrait became a central feature of the houses van de Velde designed for his family throughout his life. 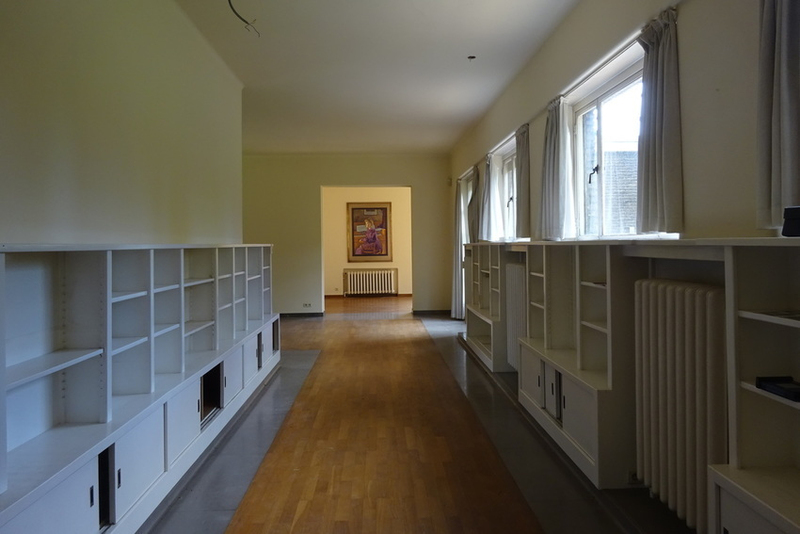 Two of those homes – the rational-romantic modernist masterpiece ‘Bloemwerf’ in Uccle (1895) and the modernist ‘La Nouvelle Maison’ in Tervuren (1927) – are currently being restored and a facsimile of Maria Sèthe at the Harmonium, much loved by the de Velde - Sèthe family, will be returned to La Nouvelle Maison as part of the effort to recreate the original fabric of the building. Factum Foundation’s projects play with the idea that works of art can be viewed in multiple contexts throughout their often convoluted biographies. In this case, the facsimile of a priceless museum piece takes on the character of a family portrait that inhabited de Velde various homes. The placement of the facsimile at La Nouvelle Maison also means that a well-known modernist building takes on the atmosphere of art and culture that must have permeated it at the turn of the 20th century. The portrait belongs to the Royal Museum of Fine Arts Antwerp KMSKA, where it was digitised in 2018. 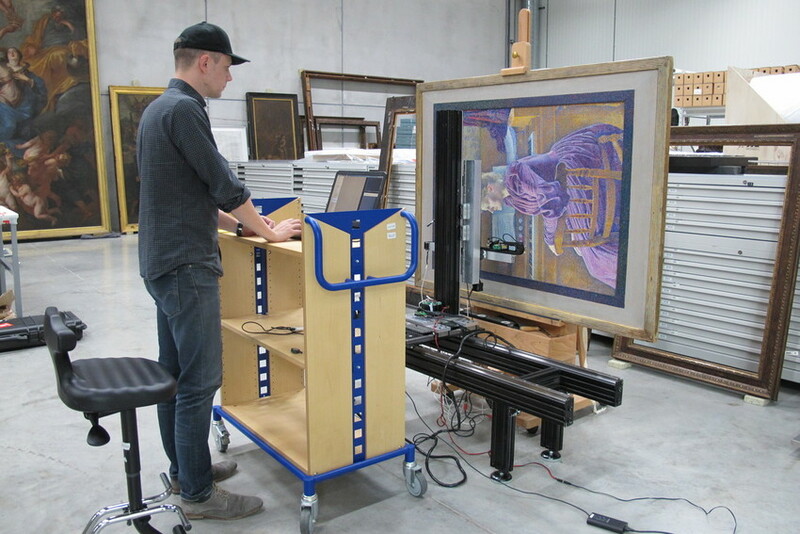 A team from Factum Foundation used the Lucida 3D Scanner to record the painting’s fine surface texture in three-dimensions, together with panoramic photography to capture its bright colouring. 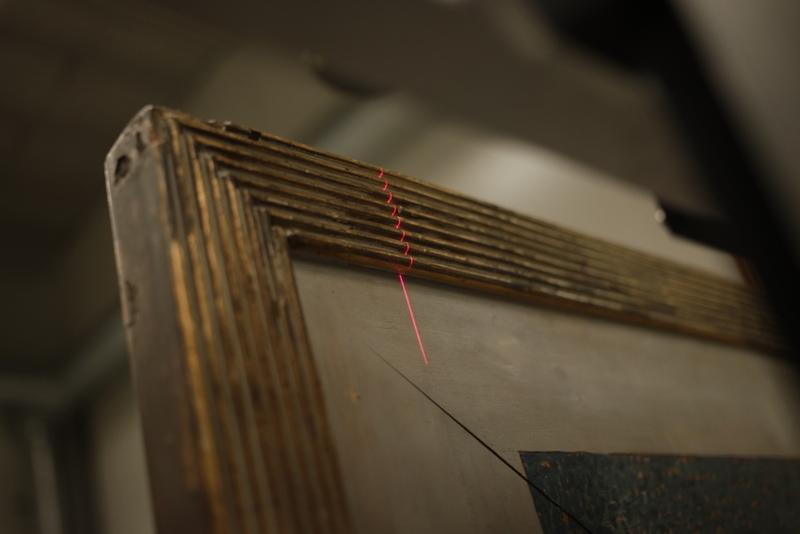 The painting has two frames – an inner frame that is an integral part of the portrait and was recorded in the same way; and a simple, gilded outer frame that was 3D scanned with the Lucida and photographed for later reference. The frame was also recorded with the Lucida, a 3D scanner that captures all types of surfaces including gilded surfaces. The 3D and colour data recorded for the portrait can be viewed in detail using the digital browser below. In order to create the facsimile, the 3D textured surface was printed by Océ - A Canon Company and a mould of the print cast in gesso. 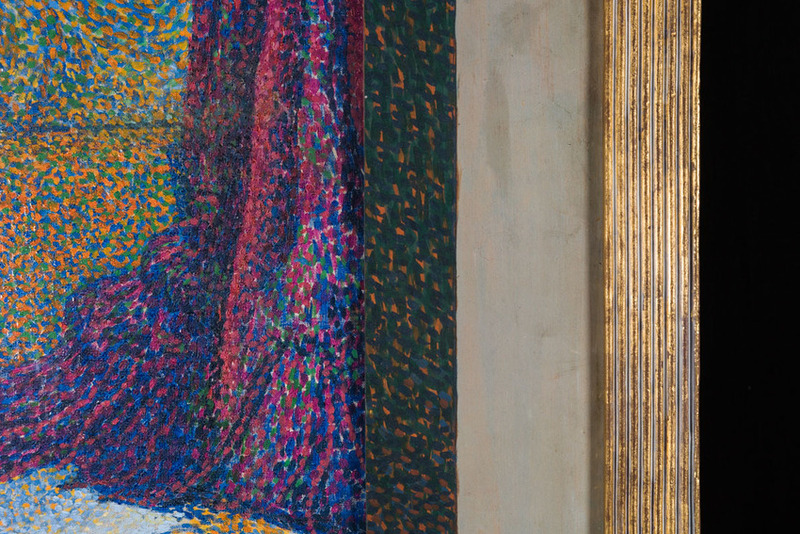 The gesso cast – containing the positive relief data recorded by the Lucida – was vacuum-glued onto canvas. 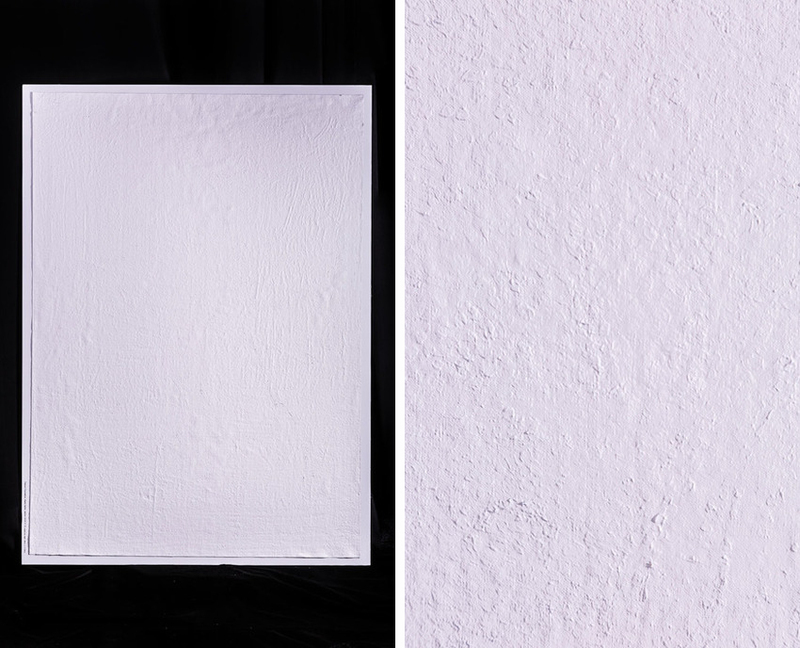 Factum’s flat-bed printer was used to over-print the gesso cast such that the colour perfectly matched the fine relief. The inner frame was 3D printed and coated with a fine layer of gesso, which acts as a perfect base material for subsequent colour printing. The outer frame was also 3D printed and finely coated with gesso, but then gilded by hand using traditional water gilding methods, and following the reference images that had been taken during the recording. 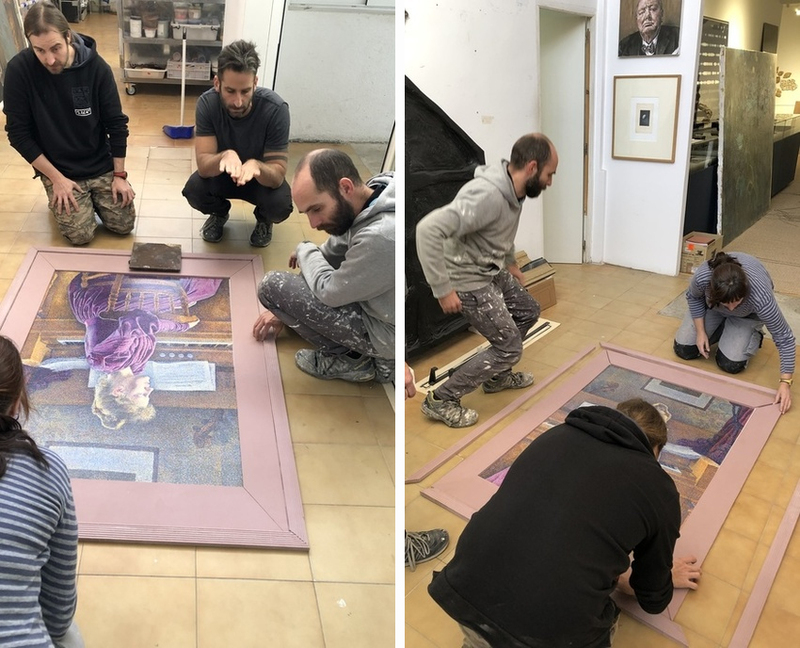 The final step in the rematerialisation of the portrait was attaching the painting to its two frames, which entailed recreating the locking mechanism that was used for the original. [L] [L] High-resolution 3D surface data for Maria Sèthe printed by Océ. [R] Detail of 3D print. 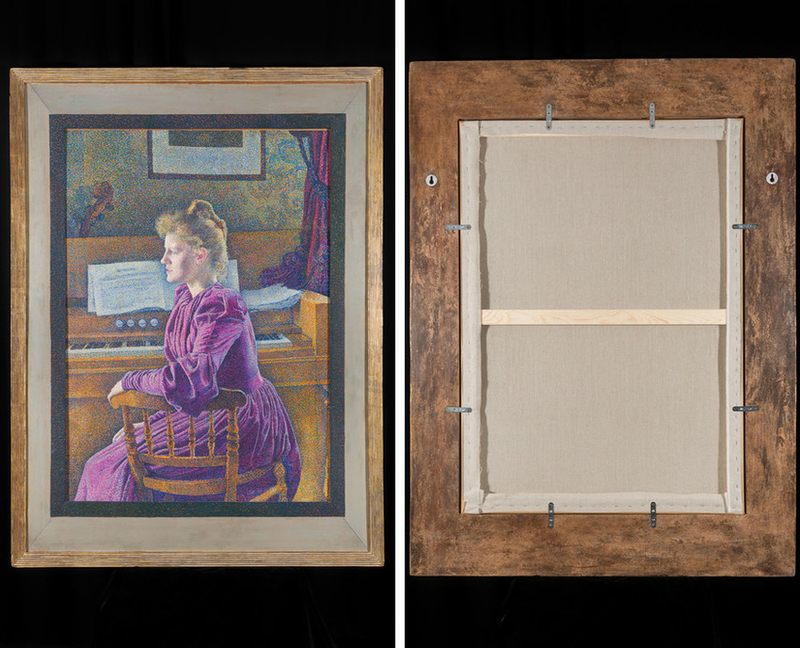 Checking the fit of the two 3D printed frames with the facsimile of Maria Sèthe before gilding and finishing. Detail of Maria Sèthe facsimile showing the two frames - the painted inner frame and the gilded outer frame. With special thanks to: Mr. and Ms. Thomas Rabe, Berlin, Manfred Sellink, General Director at KMSKA (Koninklijk Museum voor Schone Kunsten Antwerpen) and Guido Stegen - Architect, Director of Arsis. The portrait was digitised by Carlos Bayod and Gabriel Scarpa from Factum Foundation. The facsimile was produced in stages by a team from Factum, including Eduardo López Rodriguez, Jordi Garcia Pons, Voula Parasekevi Natsi, Eva Segovia and David Carrillo.